So here we are in 2019 and we got the year off to a great start with a wedding fair at the spectacular Beeston Manor Open Weekend. It was a fantastic event with the best in the business from the Lancashire area. We had the pleasure to meet some very lovely couples planning their big day. 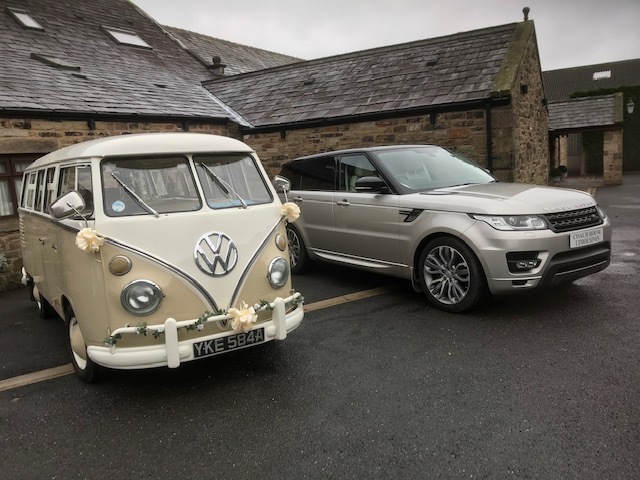 Arthur and Aruba were on their best form and received lots of attention and we look forward to hearing from some very excited Brides and Grooms. January is a busy time for Wedding Fairs and tomorrow Arthur and Aruba will be out again showcasing at Huntleys with their Wedding Evening. After a busy 2018 we’re very excited to be kicking off 2019 with these events but if you can’t make it along you are always welcome to come on down to Coach House Limousines to check out the vehicles yourself. Just get in touch and our dedicated team will be happy to arrange a time that suits all! We hope all of our friends, family and customers had a fantastic festive period and a prosperous New Year!